Ready for your Dream Life?! 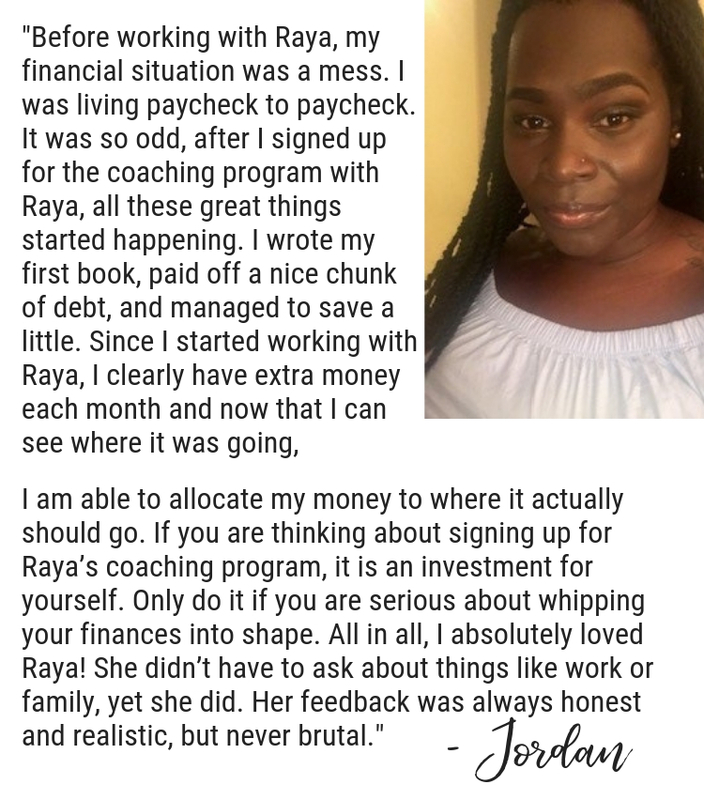 Work one-on-one with Raya to get out of debt, reach your savings goal, and finally become FINANCIALLY FREE. 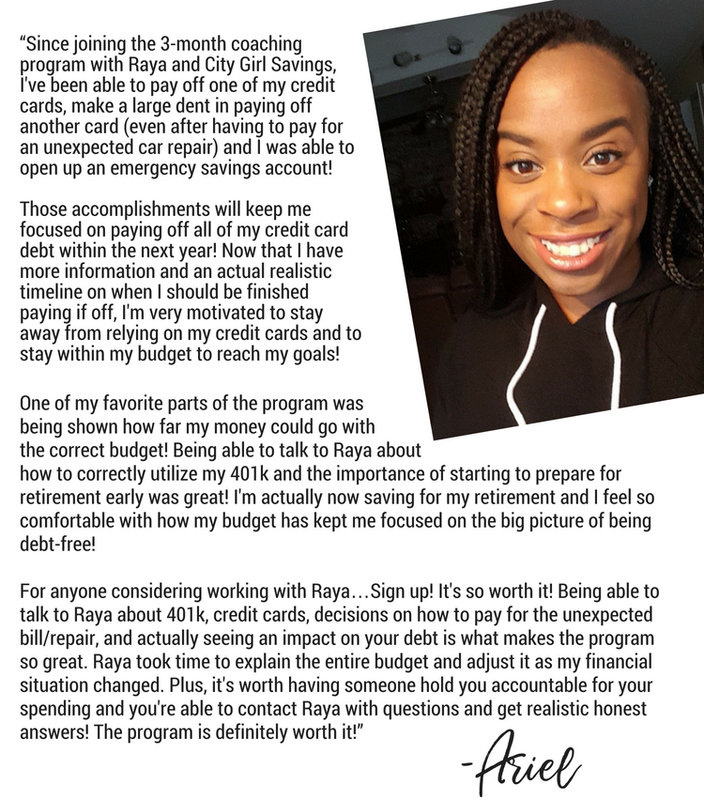 Get the financial success you deserve! Your budget is a mysterious plan that you can’t seem to figure out. The list goes on, but it’s already overwhelming, so let’s stop right there! While that list looks scary and can be overwhelming (especially if one or all of the scenarios apply to you), the good news is that ANYONE can make a change. -Get to the root of why they keep spending, even when they know they shouldn’t. Understanding the "why" CHANGES the game! No one needs to have all the answers, but we all need to have the smarts to realize a CHANGE needs to be made, then the courage to make that change. That’s honestly why I created my Financial Focus Coaching Program. 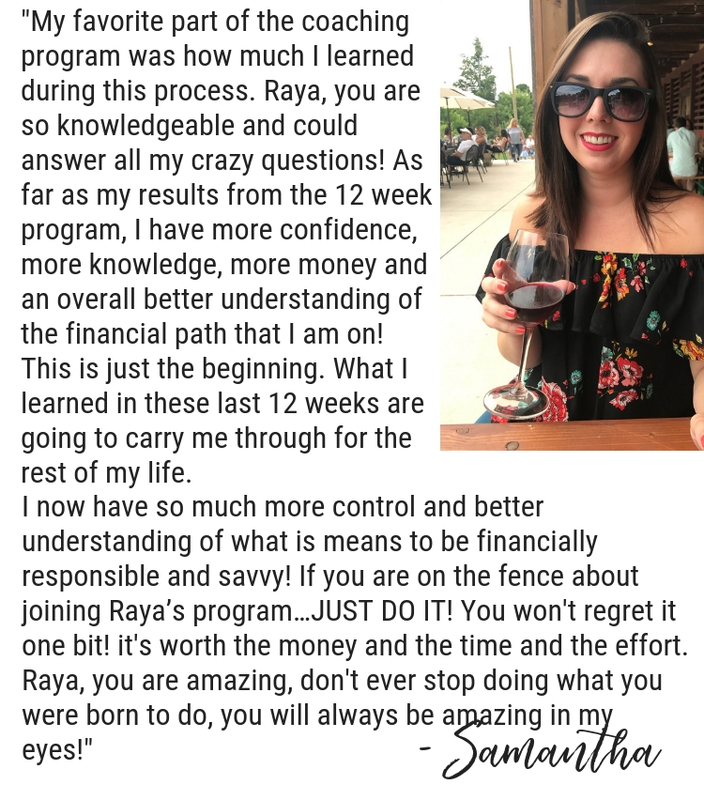 This 12-week program helps to put all of the pieces in place to SET YOU UP for financial success – regardless of what your current situation is. 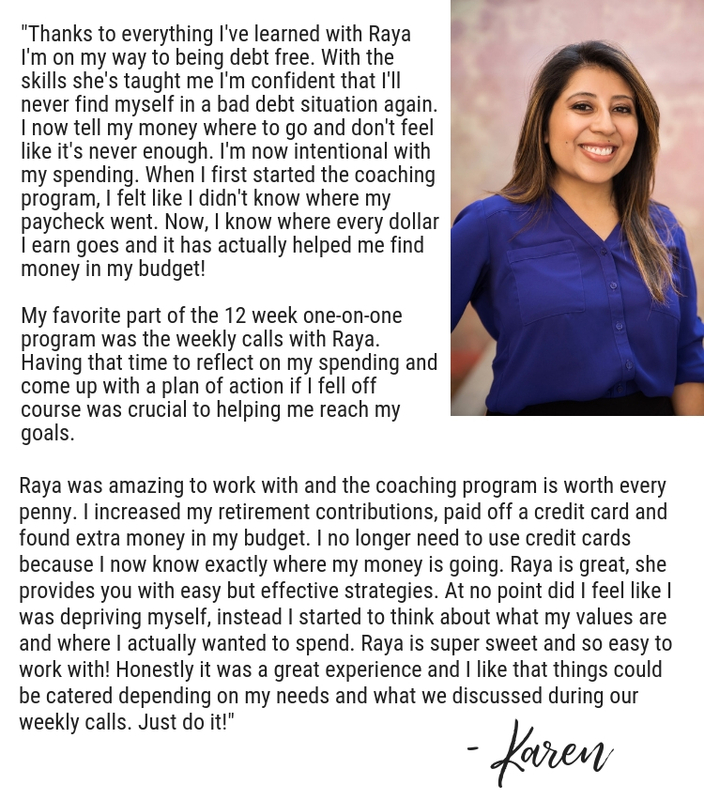 The best part of the program, in my opinion, is that you have 12 weeks of one-on-one calls with me, a detailed budget plan to follow, and the proper tracking system to ensure you are successful with your budget. 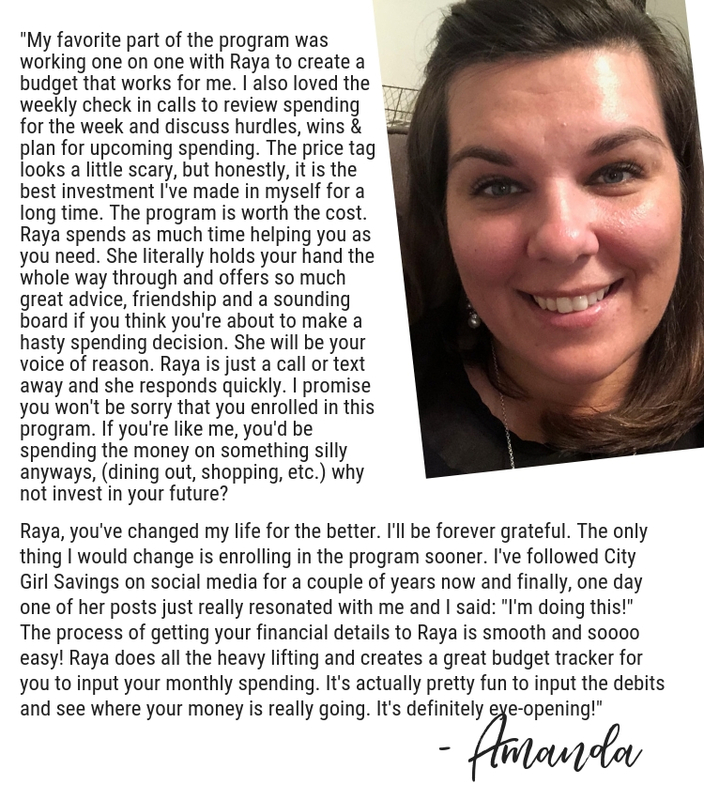 *Following a budget and controlling your spending because if you can't manage your money at this level, you won't be able to manage it at the next level – Getting a budget in place that is realistic (meaning you can reach your goals and still enjoy life in moderation) and comes with a system that calls out exactly where you over spend and by how much. This information is incredibly important for controlling your spending. *Creating habits and routines that LEVEL you up and allow you to be consistent month over month, year over year– Setting up habits, actions, and routines for you to follow long after the program that will lead to your continued budgeting and financial success. 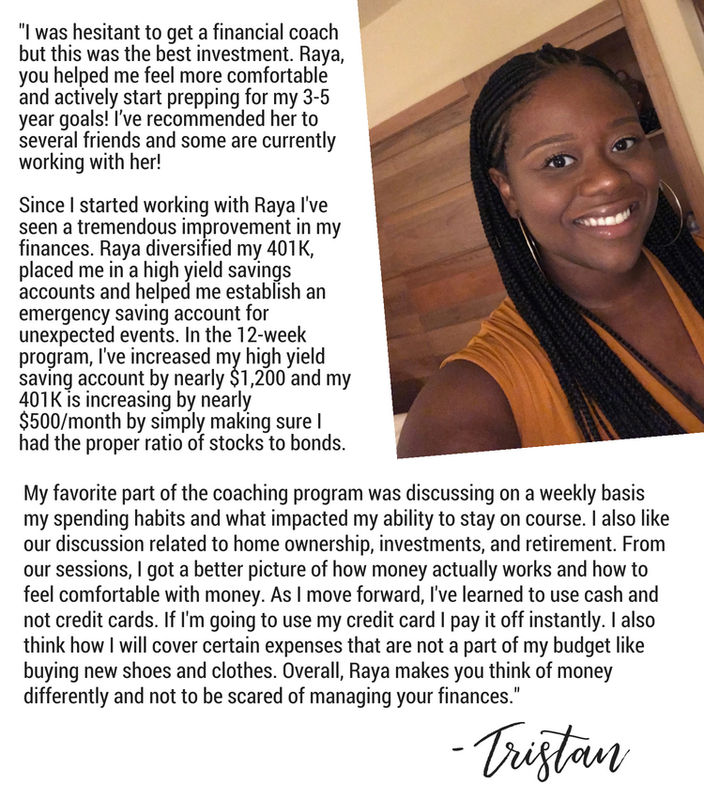 You will be able to handle any type of scenario because you’ll know what questions to ask yourself, where there’s flexibility in your budget if changes need to be made, and how to keep the motivation alive when you simply want to spend money. What I know for sure? Life changing results will be happening and you will feel more powerful in your finances than EVER before. If I were you, I'd be sure to join TODAY. Why? Spots are limited because there is only of me and PLENTY of women who need to get their finances in tip top shape. Success comes from action. If you know you need to be better with budgeting, spending, debt, and money overall, why would you want to prolong your success? 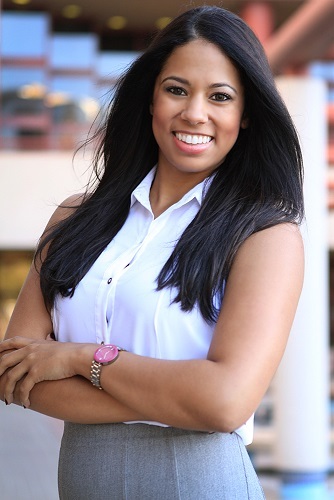 Book a free consultation with me today to take action and start on the path towards success! 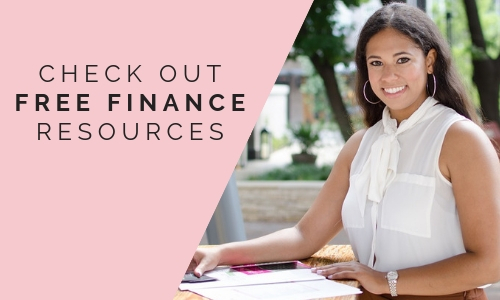 Why should I pay to get help with my finances when there are plenty of free or low-cost options available? Since I’m a coach that specializes in helping people who don’t know how to budget, you can imagine how many times I’ve been asked this question. Why should I have to use my credit card to buy things I don’t need? Why should I have to save my money so I don’t live paycheck to paycheck? Why should I have to pay bills on time so I don’t have late fees or a low credit score? Those are valid questions, too. The reason why people need to pay for help in areas that haven’t been successful in (finances included), is because they haven’t been able to figure it out themselves up until this point. That’s not to say that no one can figure it out themselves. But, it wasn’t easy. It wasn’t overnight. It would have happened a lot faster with the right guide. 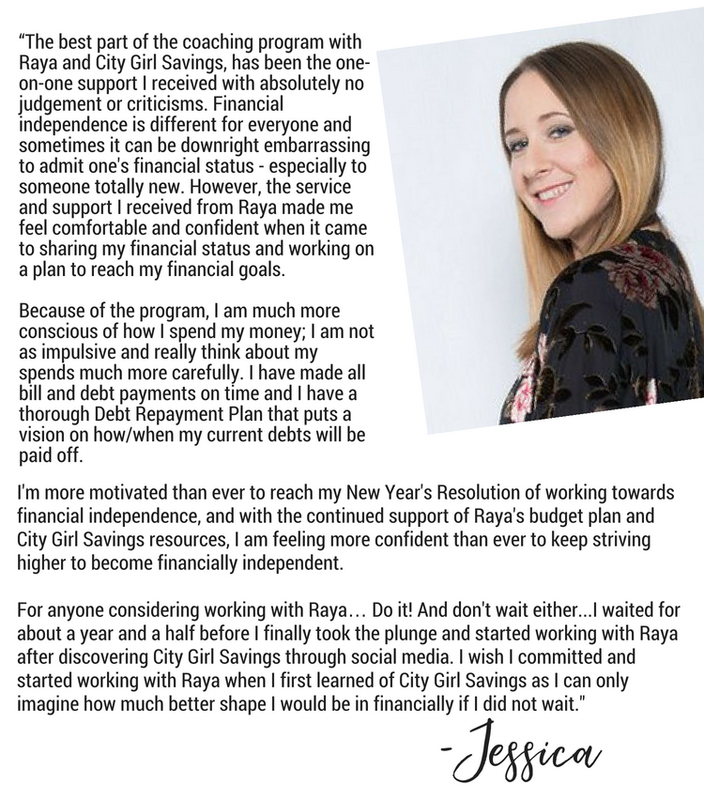 The answer to THAT question (the question you really need to be asking) is exactly WHY you should pay to get help with your finances. The answer to that question is exactly why you should pay to get help in any area of your life that hasn’t been successful. The power of learning from those who are where you want to be is priceless. The power of someone holding you to a higher standard than you’ve ever held yourself to is priceless. The power of progress and results from doing the right things is priceless. 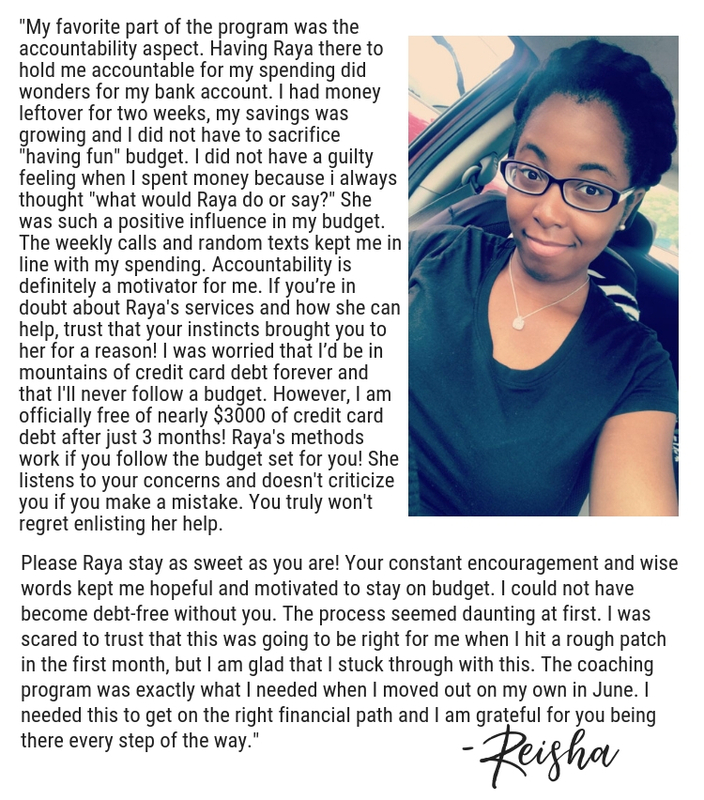 So, the real question is…why wouldn’t you pay to get help with your finances? Similar to a personal trainer for your health/weight, you can have a personal trainer for your finances. You don’t necessarily hire that personal trainer because you don’t know what to do, right? You already know you need work out and eat better. However, you hire that trainer to get to the nitty gritty of your health/weight issues. You work with them to get the right plan for you to follow to reach your goals. You work with them for a specific amount of time with the mindset that you will take what you learn and grow/implement on your own. The same applies to a finance/budget coach (aka me). 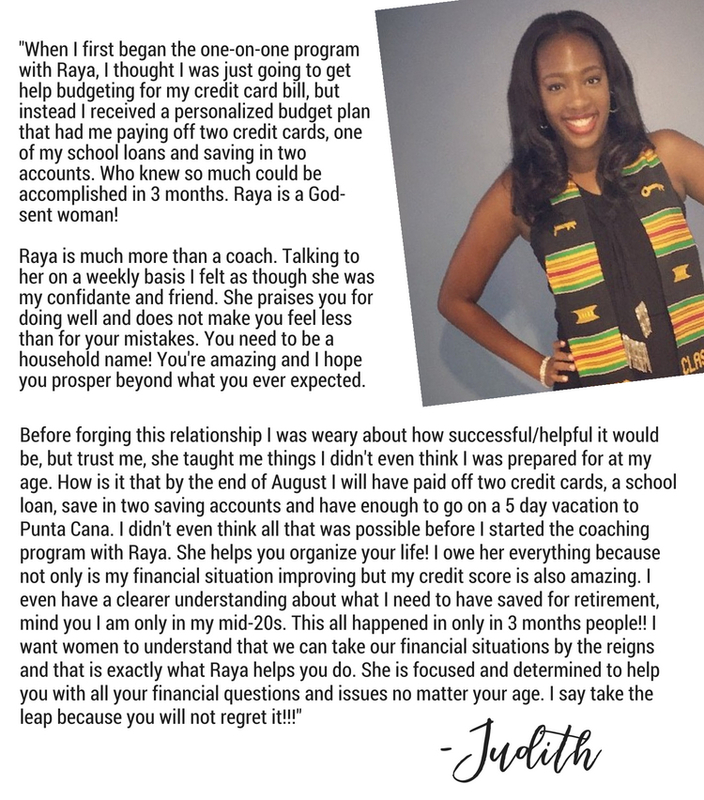 You know you need to avoid overspending and budget better, but having someone hold you accountable, map out a plan of attack, and learn what you need to do to grow/implement on your own, yields true long term success. Quick fixes often don't get to the root of the problem and often don't lead to success or consistency long term. If you are ready to breakthrough your ongoing financial burdens and achieve true financial freedom, what are you waiting for? 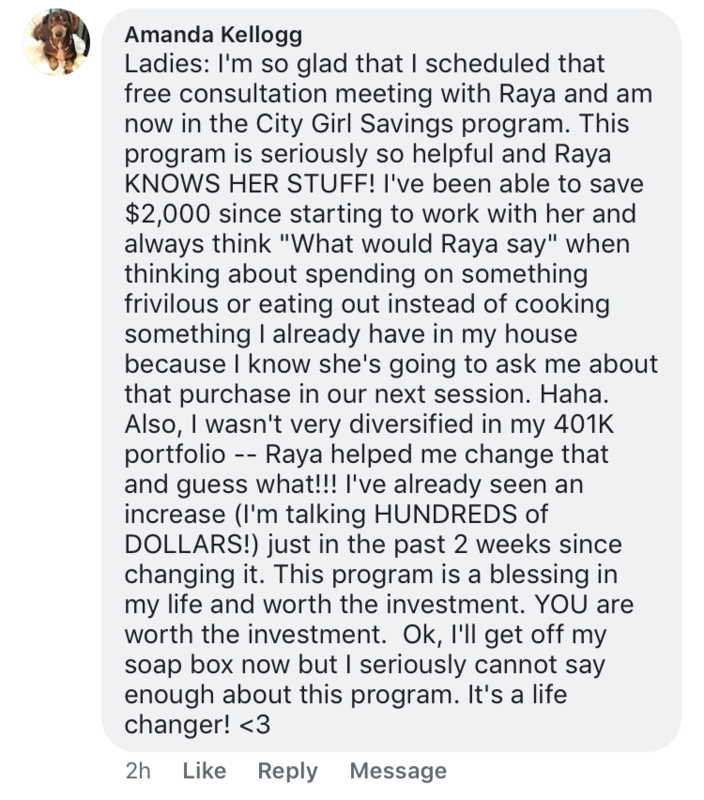 The upfront investment in the one-on-one program with me (Raya) is $1597 for the entire 12 weeks. I also offer payment plan options of 3 monthly payments of $597 or 6 bi-weekly payments of $298.50. 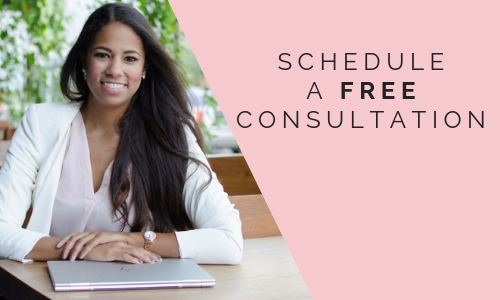 Click below to schedule a free consultation with me to pinpoint your opportunities and struggles, and get you on the right path to financial success! 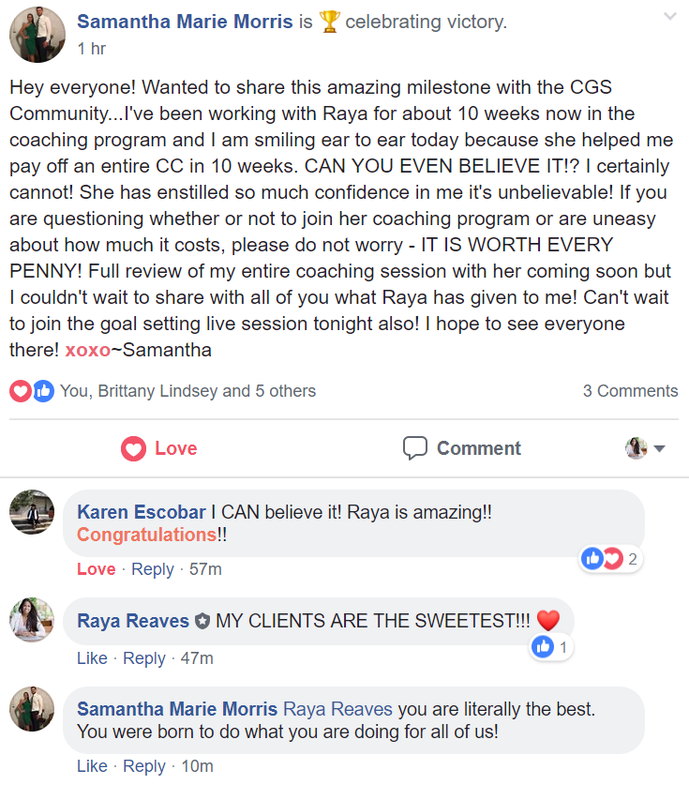 Check out Testimonials from past clients.